Posted June 13th, 2014 - News Posted for South Africa News, World Surfing News. Youth Day will be celebrated by South Africa’s junior surfers at Muizenberg when the semi finals and finals and six finals in the Billabong Gromcomp presented by Surfing South Africa bring the event to a close. The contest was originally scheduled to take place on June 16th but over 80 surfers have entered and the Gromcomp will now get under way on Sunday and end on Monday. Conditions at Muizenberg Pavilion Beach where the contest will take place are expected to be ideal for the girls and boys who will compete in the U10, U12, U14 and U16 Divisions. The Gromcomps are 1A rated Junior PST contests and surfers will not only earn points on the Surfing South Africa Pro Surf Tour but will also be eligible for a share of the R5000 in prize money and R11,000 worth of prizes which Billabong have contributed to the event. Included in the line up for Sunday and Monday are some of the members of the 2014 SA Junior Team, such as Joshe Faulkner of Jeffrey’s Bay who came 6th in the ISA World Junior Championships in Ecuador two months ago, his brother Angelo the current SA Under 13 Champion as well as Joshe’s national teammates Ethan Fletcher of Kommetjie, the current SA Under 17 Champion, and Adin Masencamp of the Strand. 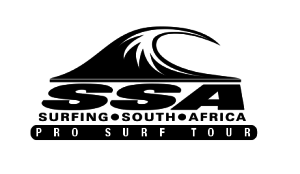 The event has attracted numerous provincial team members as well as a host of up and coming surfers who are making their way through the local club structures. The Muizenberg based Surf Shack Surf Club and Surf School, who do great outreach work among the marginalised communities in the Southern Peninsula, have entered a strong contingent of their surfers. Muizenberg is where the Surf Shack group surf almost every day so they will be full of confidence going into this weekend’s Gromcomp. In addition to a strong local contingent the Billabong Gromcomp has attracted a number of entries from outside of Cape Town and it will be interesting to see how the out of town surfers fare in the Muizenberg conditions. The Billabong Gromcomps presented by Surfing South Africa are junior contests for girls and boys and are held at different venues around the country. The Billabong Gromcomp Muizenberg is hosted by Western Province Surfing.